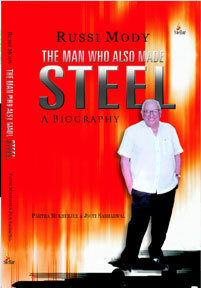 In the same decade, his professional baptism by fire commenced at Tata Steel (TISCO), in Bihar’s remote provincial town of Jamshedpur as a khalasi (manual worker). What a paradox in terms of his aristocratic upbringing and English education! But this ‘man motivator’ proved his ‘mettle’ as much to himself as to his detractors, swiftly moving from one rank to another, and eventually coveting the marshal’s hot seat as the chairman of the largest company in India. A historic association of 53 years with the hallowed Tata empire won him international acclaim in ‘industrial relations’, and he penned his own mantra of practical wisdom and pragmatic decisions by leading from the front, winning hearts and minds alike. Ahead of his times, as expected of a visionary, he is among the pioneers in industry who invested in ‘human resource development’ when such management jargons had not been invented. He gained such phenomenal popularity in the mass base, as first and foremost, he connected with his workers as a human being, and the rest as they say is history. For someone who courted controversies at every given step of his stupendous career, he has literally lived by his wits. A man of steely determination, but always known to wear a smile, his light- heartedness could pierce through the humorous side of even the most ominous situation. ‘Wit is a way of life’ with this corporate czar, who was complimented as ‘a legend in his lifetime’, by none other than his mentor JRD Tata. For, he created his own benchmark in whatever he chose to do. Passionate, just about everything, he lived life king-size, raising a toast with the hoi-polloi of the charmed circle; and his annual sorties to the South of France to savour good times at Riviera became a part of the folklore. But that flamboyance masked a dynamic disciplinarian and analytical administrator, who synchronised thought & action, and continued to remain a champion of the underdog. Bonhomie and harmony became the keywords in his lexicon of the ‘personnel’, and he was conferred the national honour with Padma Bhushan in the arena of private sector management. After finding a pride of place in the BBC series, Money Makers, that depicted six portraits of boardroom powers around the world, he marched into the league of ‘International Who’s Who of Professionals’. A uniquely gifted individual, Russi Mody might find it hard to replicate his own act. Simply refusing to retire, he says ‘cheers’ to life at 90, chanting J’attendrai… to the strains of piano, without missing a note. Age has not withered the spirit of a warrior who has fought all his battles with such exemplary élan…! Partha Mukherjee has served the multinational Reckitt Benckiser for twenty-five years, closely involved with Operations. He has scripted and directed an audio programme on Kolkata, commemorating the three hundredth year of the city in 1989, and it was played on the public address systems of all metro stations for six months at a stretch. His documentary film, Pulu, on the life & times of the celebrated Bengali actor Soumitra Chatterjee, and The Folk Dances of Sambalpur, received critical acclaim from cineastes.